Three Victorian pubs once faced each other across this busy intersection in Lambeth. 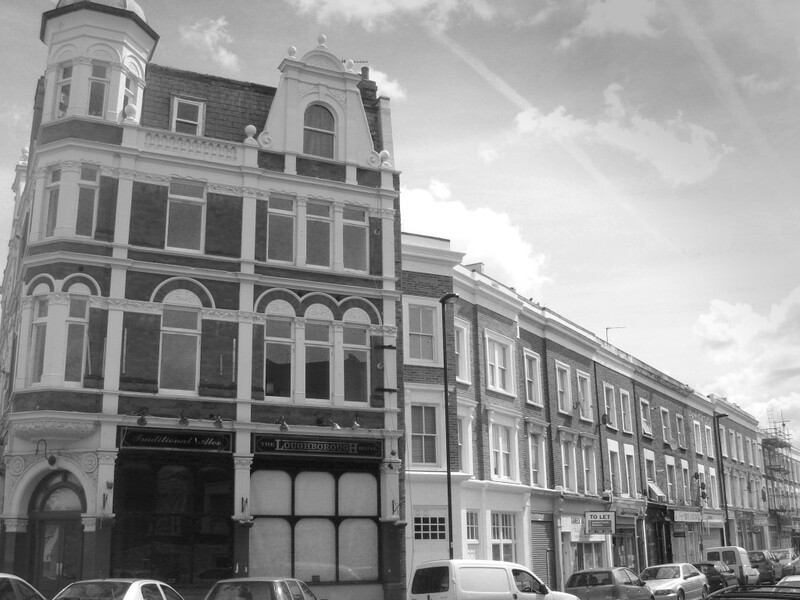 The upper floors of the Loughborough Hotel had been converted to flats, however the bar remained, boarded up and untenanted. This area is certainly up and coming, but our drawings were still pinched from the front door step where we had left them when our back was turned. HEAT worked with surveyors Fleurets to obtain a valuable residential use for this building and bring 3000 sq ft of space back into use with an innovative contemporary design. 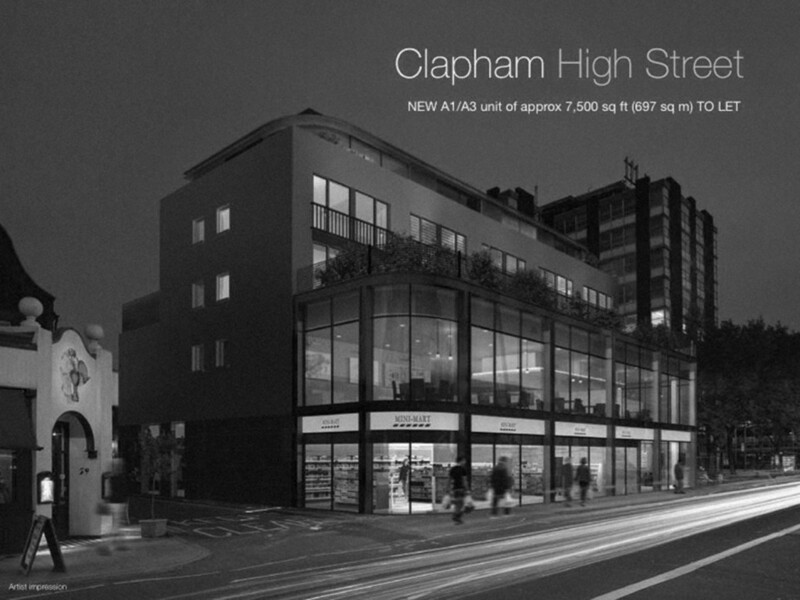 Clapham, London: Incorporating 12,000 sq ft of retail/A3 units and 14 loft apartments on the upper three stories, this brownfield development was designed from the start to be low-energy, with natural cooling, water recycling and common parts lit by solar cells. Natural light will flood into the apartments. There is a ‘hanging garden’ with mature birch trees at the second floor level shielding the apartments from noise and pollution. Planning consent was gained by HEAT from the London Borough of Lambeth. Stockwell, in the London Borough of Lambeth is home to some of London’s most interesting Georgian and early Victorian houses. This terraced house has an impressive frontage onto a tree lined crescent, but is only one room deep. 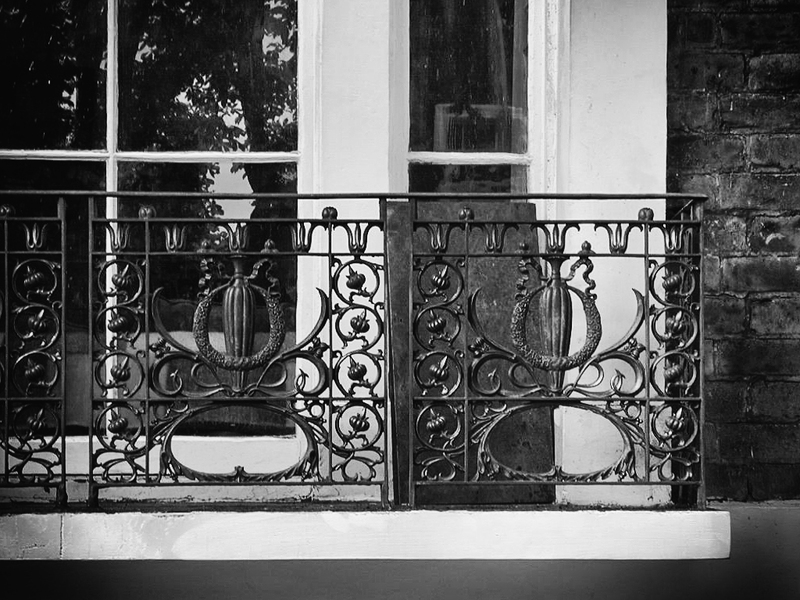 HEAT obtained planning and listed building consent for refurbishment, particularly of the basement including restoration of missing railings and re-landscaping the front garden.